People use cheese for 10 000 years. According to the ancient legend, the head of cheese was created suddenly with no recipe and special efforts. Cheese was the Gods’ food in the antique word. Later, this product was popular in the Roman Empire – Romans ate the dozens sorts of cheese. 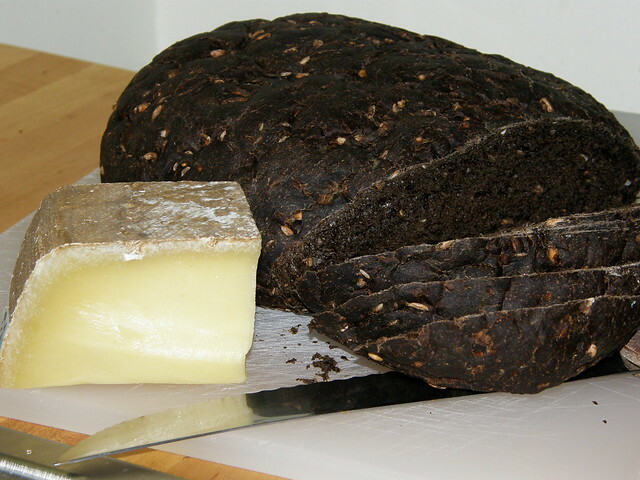 The Middle Ages used cheese and special product for monks. The world is full of cheese. There are many sorts of cheese for mass market. You can buy them in the supermarket. 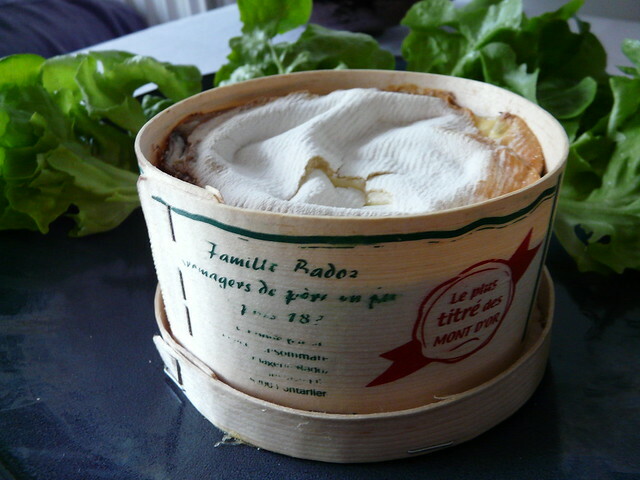 There are also many sorts of delicacy cheese that are more than 2-3 years old. You can buy them in the specialized shop. The most popular sorts of cheese are produced by Holland, Switzerland, Italy, France. Cheese is especially good for every day breakfast and special occasions. Usually, if you think of the Swiss Cheese, you definitely mean the hard sorts with tender taste and the mouse holes. 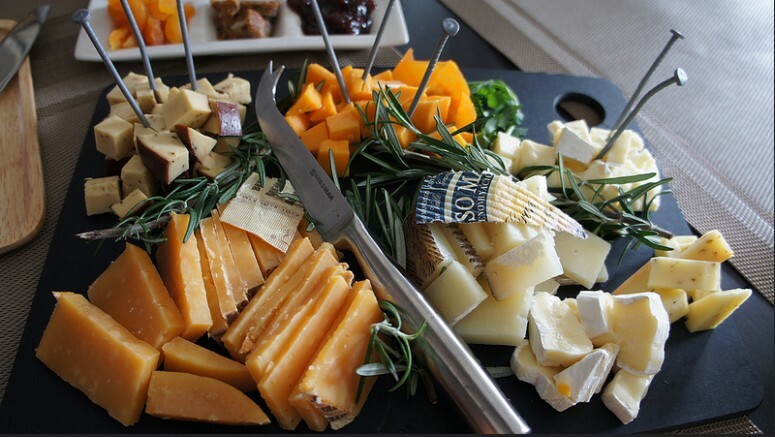 Do you know that Switzerland counts more than 25 sorts of cheese? All of them are tasty. Nevertheless, it is time to speak about the most popular of them. For example, hire the car in Zurich and go to the glorious village Appenzeller – the Eastern Switzerland. The cheese is made of fresh milk to have good strong taste. The milk must be just from the local cows that are grown on the local valleys between the Konstanz Lakes and Santis Mountain. The cheese must be cleaned with special brushes and watered with the salty spicy liquid. The recipe of it is kept in a big secret. You can visit the cheese factory that is more than 700 years old! This is a chance you should not loose. So, what kind of cheese is good for fondue and what is good for baked potato? It is said that the cheese of this sort is produced in the 14th century. It is also said that the first head of cheese of this sort was produced in the antique times. Gruyere is made of the milk from Bern, Fribourg, Vaud regions. This is a sort of hard pressed cheese with no holes with the head of 55 centimeters that are 8-24 months. Of course, the older cheese is, the more expensive and tastier it must be. The heads of Gruyere are washed with salt water in the process of aging. This kind of cheese is attractive for fondue. It is also good for hot toasts. This popular cheese is famous because of the big holes that are made by special bacteria. The cheese of this sort was firstly produced in the 13th century in Bern, in the valley of Emme River. It is still produced in this territory. Emmental grows up during 2-12 months to get ready. This sort of cheese can be kept for many years. There is a tradition to give the heads of cheese like a present from one generation to another. It is said that the oldest of them is 150 years. 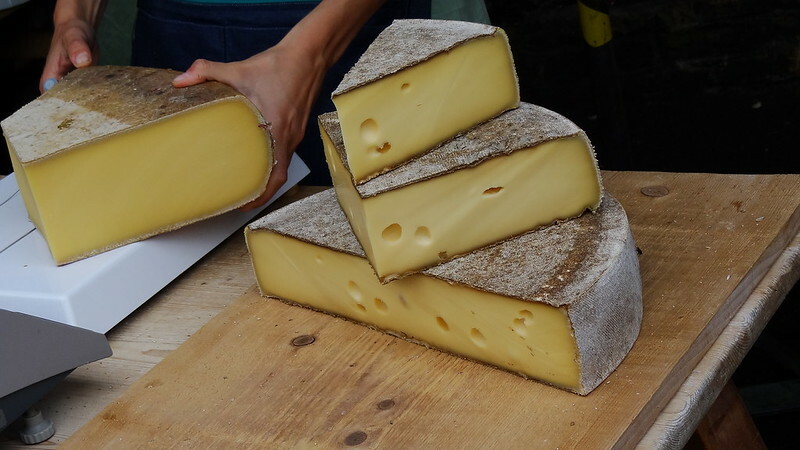 Emmental has a sweet spicy taste, full of fresh aromas of the mountain herbs. The cheese is used to cook such simple dishes as salads, sandwiches, hot dishes. Emmental is also attractive for fondue. The first head of cheese of this sort was made in the Swiss city Tilsit. Producing cheese officially started in 1893. This kind of cheese is rather fat (45-60%) with many small and big holes and cracks. It must be about 6 months old. It is piquant and spicy by taste. The cheese is good for salads, souses, pies, and in form of light snack with crispy crackers and sandwiches. Which variant do you prefer? There is an old legend about the cheese appearance. It is said that there was one cattleman, named Leon. He liked to gather his friends at the fire every evening to drink wine and eat cheese and bread. The legend says that one cold night Leon wanted to eat something hot. He decided to make the cheese hot at the fire. He tries this new dish with potato and bread. It was really tasty! That was the first Raclette that comes from the French word racler – scrape. This kind of cheese is produced in Valais. Actually, it needs about 3 months to get ready. Then, the big heads of cheese are kept at the fire. You can come and scrape the cheese to your plate with special knife to eat with baked potato and vegetables. Raclette is also popular with white wine of all sorts. Vacherin is produced in Fribourg. This is the semi-hard cheese with many little holes. It has soft and light taste. It must be aged for 2-5 months. It is says that this sort of cheese takes less milk that it usually takes for producing big heads of cheese of different sorts. What is more, the word varcheirin means cattleman. The small heads of cheese were comfortable for cattlemen to take to the grass feed. This sort of cheese is the main component for fondue. Varcherin is also attractive to eat with bread and wine. Almost all sorts of cheese are made of cow milk. Producing cheese was the way when cattlemen could safe their summer milk for winter days. What did they do on winter days? They sat at the fire and ate Raclette. They made the fondue from the different parts of cheese that they usually brought and were happy. They ate cheese with good old wine. Of course, you are not the cattleman but you can eat the tastiest cheese ever. Look around! If you are in Switzerland, you have to try Swiss cheese and buy it for souvenir. Of course, you have to understand which of them is yours. What kind of cheese do you like the most? It can happen that people cannot get the clear answer. So, if you cannot decide about one or another sort of cheese, you should taste as more as you can.